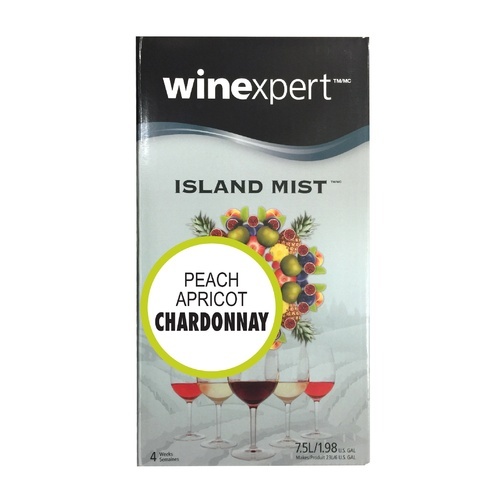 Island Mist is the perfect everyday wine. With complete fruit flavors and the crisp freshness of varietal wines, Island Mist is a fun refreshing beverage anytime. Ready to bottle in just 4 weeks. Fresh picked peaches and apricots in a rich chardonnay. I've been brewing beer for a long time, but my wife prefers wine. I like it too! I already have all of the needed equipment, so I thought I'd give it a try. Been brewing beer for a while, decided to try wine considering I have all of the equipment! This was also my first attempt at wine after brewing for a while. The wine turned out great, but it's definitely more of a moscato. It's VERY sweet. Will definitely be better served chilled and over ice to cut the flavor a bit. Would also be great to use for making sangria. Pleasant summer desert wine for an afternoon at the pool. If you are looking for a full bodied wine with complexity - this isn't it. Gave it 5 stars because it was what I expected - easy sweet wine.